Massive congratulations to Hawkesbury Council, the most recent council to become involved with the Responsible Cafes intiative. Members of the Hawkesbury Environmental Network have been out in force. Having approached around 70 cafe owners, encouraging them to get on-board and help save disposable coffee cup waste by offering discounts on reusable cup purchases. KEEP YOUR CUP: Hawkesbury Mayor Mary Lyons-Buckett meeting with HEN volunteers and cafe operators who have registered as Responsible Cafes. 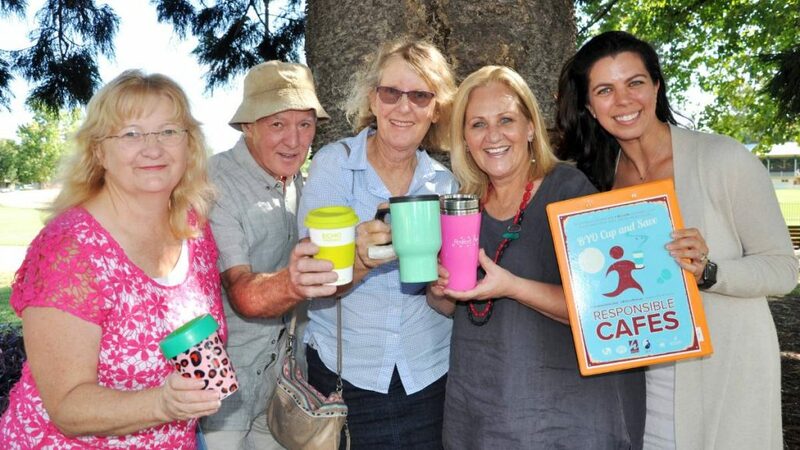 Council will be providing a limited number of free reusable cups from its tent at the Hawkesbury Show on 20 to 22 April at the Hawkesbury Showground, Clarendon. Recipients will need to sign a pledge to use the reusable cup when buying takeaway hot drinks.